What’s the one part of our body that we really do take for granted? It has to be the bones, doesn’t it? It’s the hidden architecture of our whole body. When we are children and adolescents much emphasis is put on building strong and healthy bones. But as we get older we often neglect them as we become more concerned with other aspects of our health and body. They say you are what you eat. It might be a cliche, but as with all cliches it’s based in truth. Not only is a healthy diet important for your digestive system, but a healthy digestive system is also essential for the health of the rest of your body and mind. Nobody understands this more than the experts at Cheshire Natural Health. If you are a runner, be it somebody who goes out occasionally or a serious marathon pace setter, then treating yourself to a sports massage can make all the difference to your jogging experience. Can an osteopath help with very painful sciatica? Sciatica is a very common complaint affecting many people – and can be excruciating into the bargain. It occurs when the sciatic nerve becomes compressed. Cheshire Natural Health, in Stretton, Warrington, can help you understand the complaint and alleviate the pain. 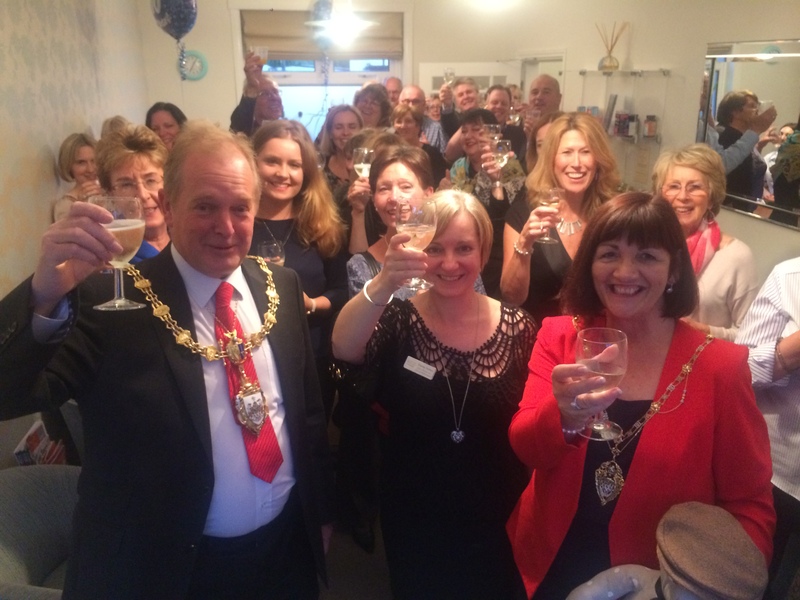 Therapists, family, and long standing clients enjoyed a fantastic 10th anniversary celebration on 23rd September. The Mayor and Mayoress of Warrington also attended and raised a toast to our success. We have experienced and caring therapists who can help you to overcome your problem. Hypnotherapy. Our hypnotherapist, Jason Howden found that clients report a 75% reduction in feelings of anxiety after a course of 4 sessions of hypnotherapy. Nutrition/ Herbal Medicine. Your diet and digestive health can have a massive impact on your emotional as well as physical well-being. especially when supported with herbs that have been traditionally used to help anxiety. Do you suffer from IBS or constipation? We have specialists who can help! Colonic Hydrotherapy. Relieves digestive problems including constipation, wind, diarrhoea and bloating. Keeps your bowels clear and healthy, and helps to maintain a regular transit. Our Special Summer offer is just for you! Own up! Who doesn’t make at least one New Year resolution? Lose weight, stop smoking, eat healthily or tackle stress. And how many resolutions do we manage to keep?